Back by popular demand, following last year’s sold out performance! 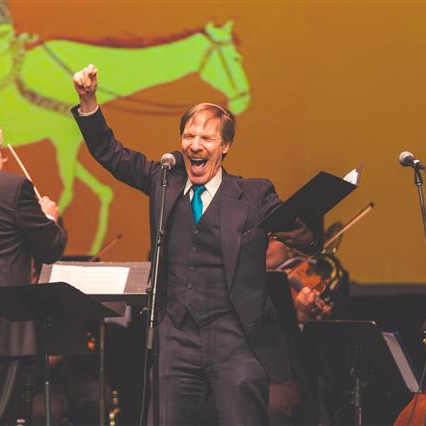 This concert, curated by Zalmen Mlotek and Motl Didner, features familiar songs performed alongside newly rediscovered hits with restored orchestrations and arrangements by Zalmen Mlotek and Dmitri Zisl Slepovitch. 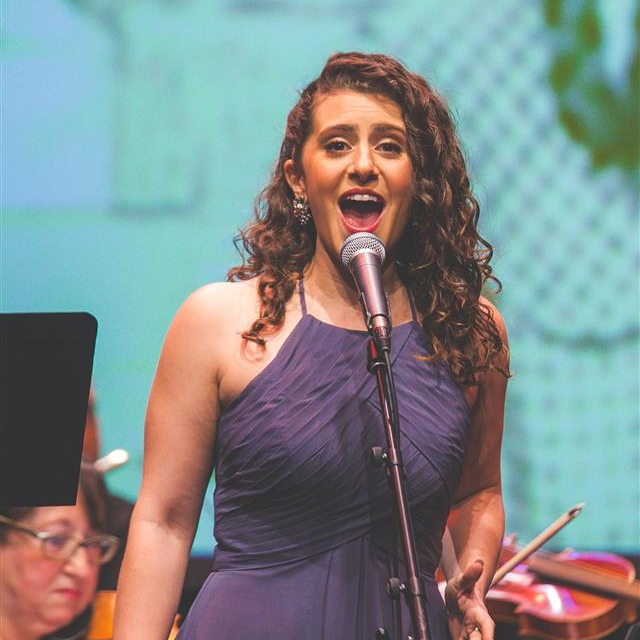 Part of NYTF’s Global Yiddish Theatre Restoration Project initiative, this concert brings history to life by reviving the lost and forgotten pieces of the Yiddish stage! 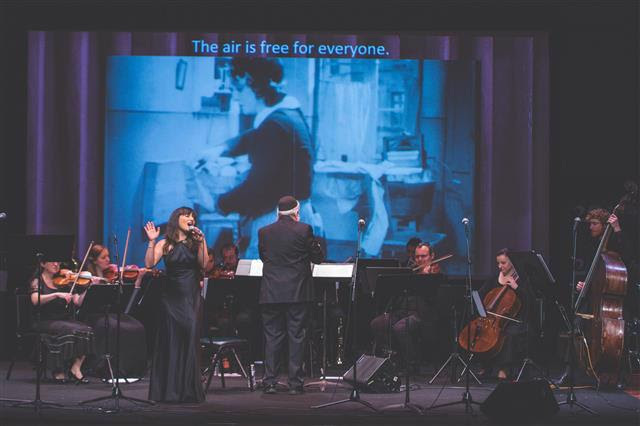 From the Yiddish Rialto to the Silver Screen features songs from jazz-infused Yiddish musicals, hits made popular on the Yiddish radio, and melodies accompanied by film clips (courtesy of National Center for Jewish Film) from the Yiddish musical cinema of the 1930s and 1940s. 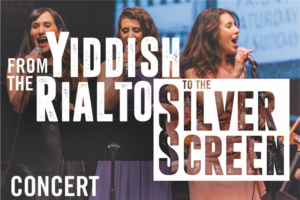 Songs will be performed in Yiddish with English supertitles. The concert stars: Glenn Seven Allen ( Amerike – the Golden Land, The Golden Bride),Daniel Greenwood ( The Mikado), Maya Jacobson ( Fidler Afn Dakh, Amerike – The Golden Land), Joseph Mace ( The Golden Bride), Rachel Policar ( The Golden Bride),Daniella Rabbani ( The Golden Land), and Steve Sterner ( The Sorceress), and features the Uptown Downtown Orchestra conducted by Zalmen Mlotek. 423 West 46th Street in the theater district. VILNA tells the heroic story of Motke Zeidel and Yudi Farber, actual people, who come of age in the remarkable city of Vilna during its degradation in the Interwar years and destruction in World War II. As their world collapses they repeatedly face painful moral and life-threatening choices to save others. 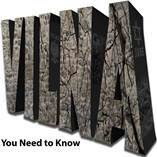 For more information about the play go to www.vilna-the-play.org. ← TEVYE SERVED RAW Only 6 shows left!